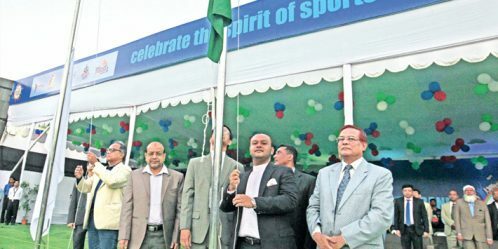 Bashundhara Sports Carnival-2016, organised by country’s largest business conglomerate Bashundhara Group, kicked off with a colorful opening ceremony at Bashundhara Residential Area on Thursday.The theme of the tournament is ‘celebrate the spirit of sports’.Safwan Sobhan, Vice Chairman of Bashundhara Group, inaugurated the programme at ‘I’ block of Bashundhara Residential Area. Director of Bashundhara Group Yeasha Sobhan, Editor of the Daily Kaler Kantho Imdadul Haque Milon, Advisor (Press and Media) of Bashundhara Group Mohammad Abu Tayeb, Executive Director of East West Property Development (Pvt) Limited and Convener of the organising committee Imrul Hasan, along with officials, journalists and participants were also present on the occasion. 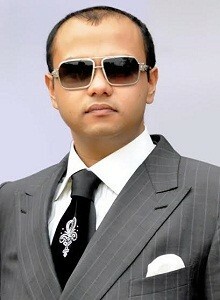 “Bashundhara Group is one of the best organisations in our country. 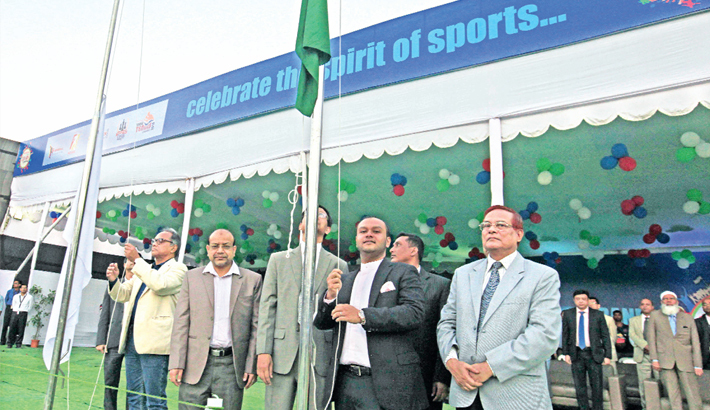 Bashundhara Group is always contributing to arranging various sporting events. 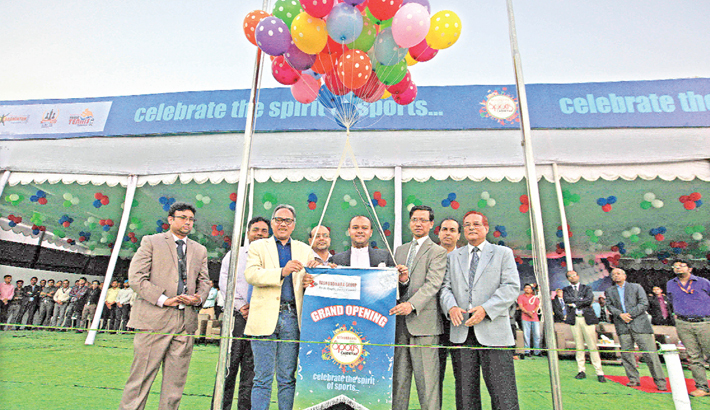 It is the only group that spends lots of money in the field of sports development. 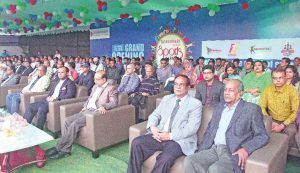 I hope this carnival will complete successfully by the support of all,” Imdadul Haque Milon said. “This is our annual carnival. We will organise this tournament every year. For the first time, women of our organistaion will participate in this event. The sport festival includes five main events. The total participants are 1000. It’s prize money is finalised at Tk 50 lakh,” convener of the organising committee Imrul Hasan said during his speech. 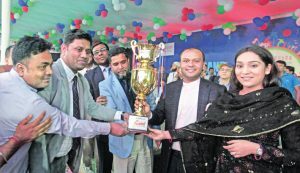 The five main events are football, futsal (seven-a-side), badminton (male/female), table-tennis and Chess (male/female) tournaments. 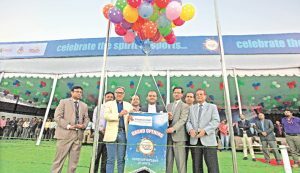 All the tournaments will take place simultaneously but at different venues. 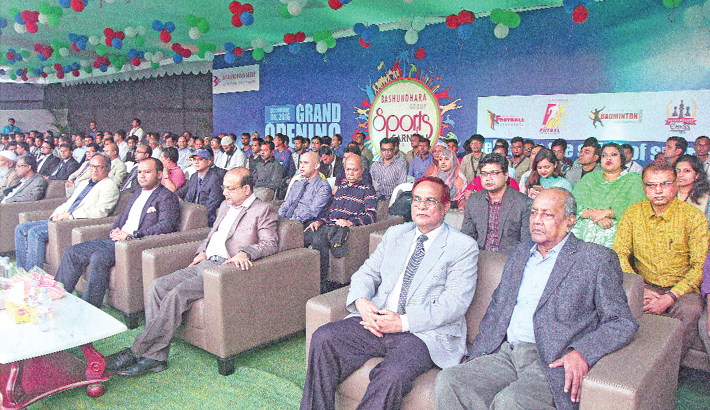 The annual sports fiesta of Bashundhara Group is reputed for its fun and excitement. Organisers expect this year’s carnival will be more enjoyable and thrilling.